Image via paenergy.orgHere at Grid, we’re always encouraging readers to buy local, renewable energy. So, we were excited to see that since 2004, Peco has been among the 20 utility companies in the Northeast to offer such an option. 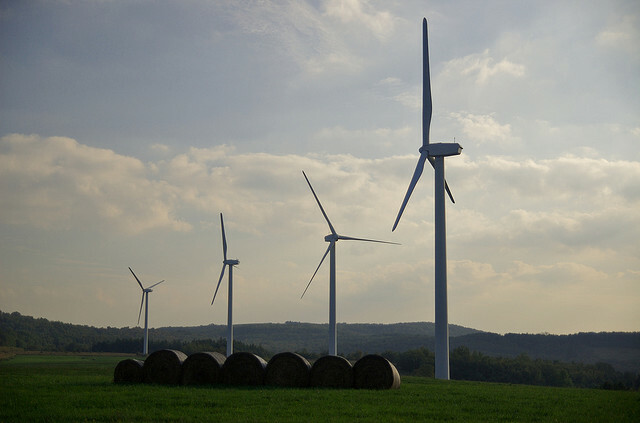 Their Peco Wind program allows customers to purchase some or all of their electric supply as renewable energy credits that support new and current wind projects in Pennsylvania. However, after December 31, Peco Wind will be canceled. “The program was created before there was residential consumer choice and the rate caps were off to support wind,” explains Courtney Lane, senior energy policy analyst for PennFuture. With the rate caps now off, the market is filled with competitive suppliers and Peco’s program isn’t the most affordable anymore. So, why do you need to know about this? Well, what’s important for the 20,000 customers currently enrolled in Peco Wind—and anyone else interested in buying renewables—is to recognize that not all alternative energy programs are created equal. Just because a utility company operates locally, doesn’t mean their electricity suppliers are local too. It’s not uncommon for your wind and solar energy to come from outside the state, and possibly from the other side of the country. To make sure you’re supporting Pennsylvania renewables, check out PennFuture’s Energy Center. There you can find out how to buy clean, renewable energy and browse a list of green energy suppliers in Pennsylvania. Another helpful resource is our energy column from the July 2012 issue that discusses buying local, green energy from Community Energy and the Energy Co-op.